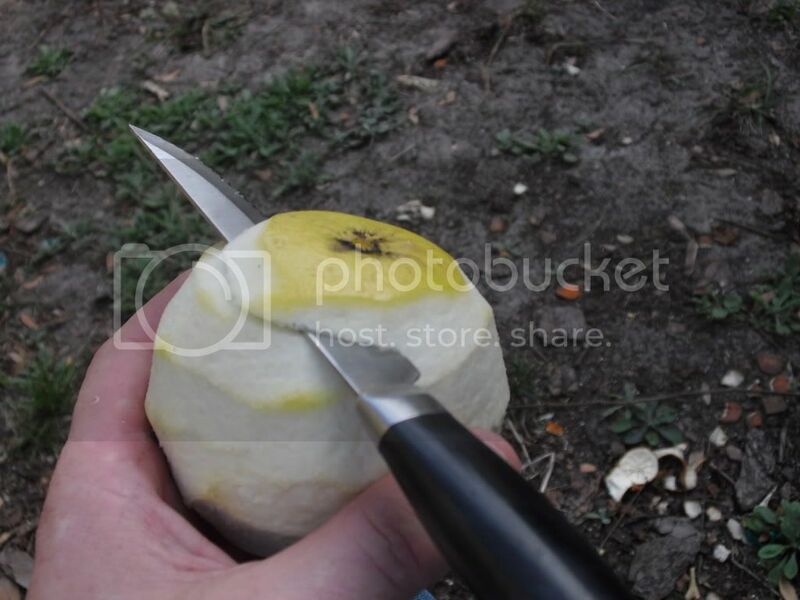 The So I heard if you cant eat a grapefruit without adding suggar its out of season, I don't know when season starts or ends, all I know is that Its pretty good, but If I cut down all the grapefruits will it flower right after? or how does it know when to flower? White grapefruits are sour and need sugar. The pink grapefruits come from an orange tree branch grafted to a grapefruit tree, it makes pick grapefruits that are basically half orange and half grapefruit they are sweet and need no sugar. Leave the fruit on the tree. It will not flower until summer. Mother nature knows when it is time to flower. My parents in Tempe Arizona have a grapefruit tree in the front yard. When I lived there I picked a grapefruit off of the tree every morning for breakfast. As long as the grapefruits stay on the tree they continues to stay good. If you pick them all they will start going bad in a month. 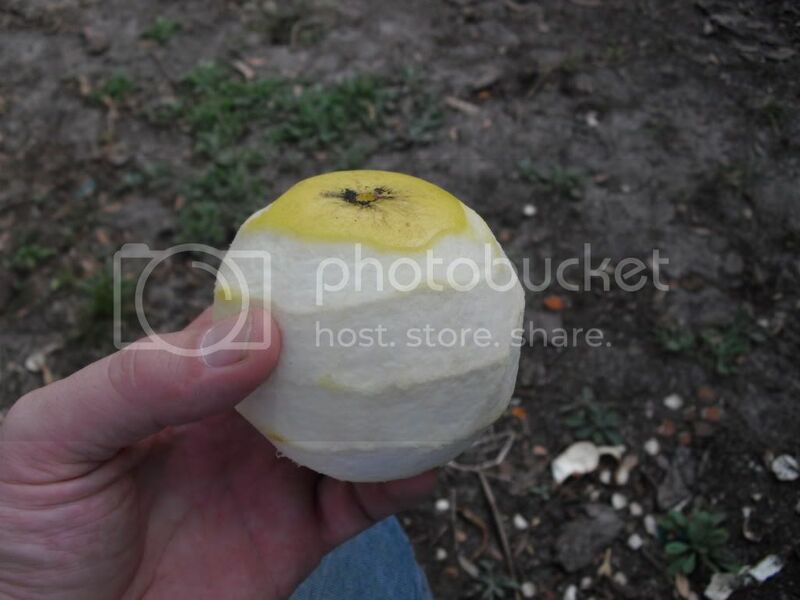 We had a lemon tree and 2 orange trees in the back yard as long as the fruit stayed on the tree it stayed good too. I was still pulling fruit off all the trees in August and it was still good. Fruit gets ripe about November. ASU Campus = Arizona State University at Tempe AZ, the maintence workers pull all the fruit off all the trees on campus during Christmas holidays and let it fall to the ground. It lays on the ground until the last week of December. Anyone that wants free oranges, etc. can have all they want. One winter when I was visiting for the holidays I loaded my pickup truck with about 1800 lbs of oranges and drove back to Tennessee. The weather was cold in TN so the oranges stayed good outside it was like keeping them in the refrigerator. Late March when the weather started warming up the oranges started going bad. I had been squeezing most of the oranges into juice to use them up as quick as possible but I still had probably 1200 lbs of oranges. I started giving them away at work people were hauling them off every day until they were finally gone. If your ever at ASU campus at the end of November or first of December and the fruit is still of the trees, pick all you want no one cares. 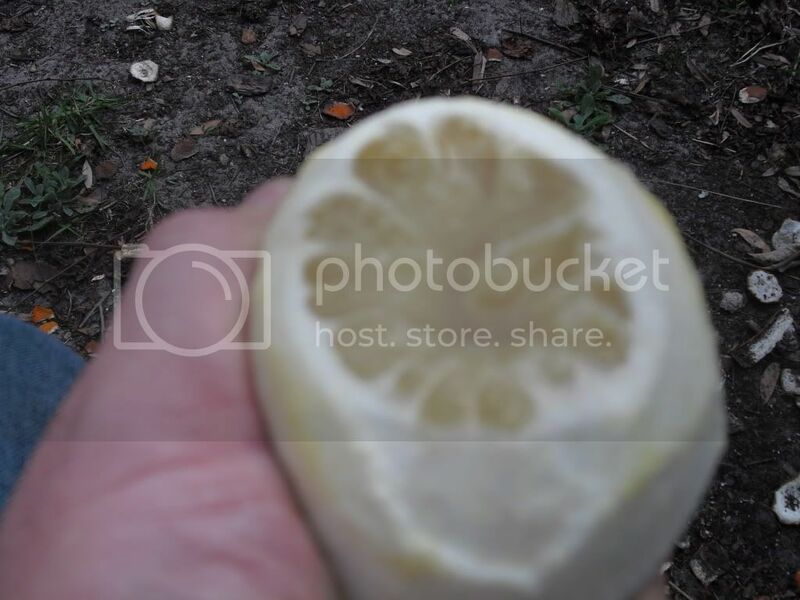 Hello, Here in Florida we have three Duncan grapefruit trees that are around 40' tall in our back yard and If the fruit are not removed the next years crop will be deminished greatly. Duncan are a white fleshed fruit and are fairly sweet. Cold snaps during the winter months will increase sugar levels in all grapefruit. 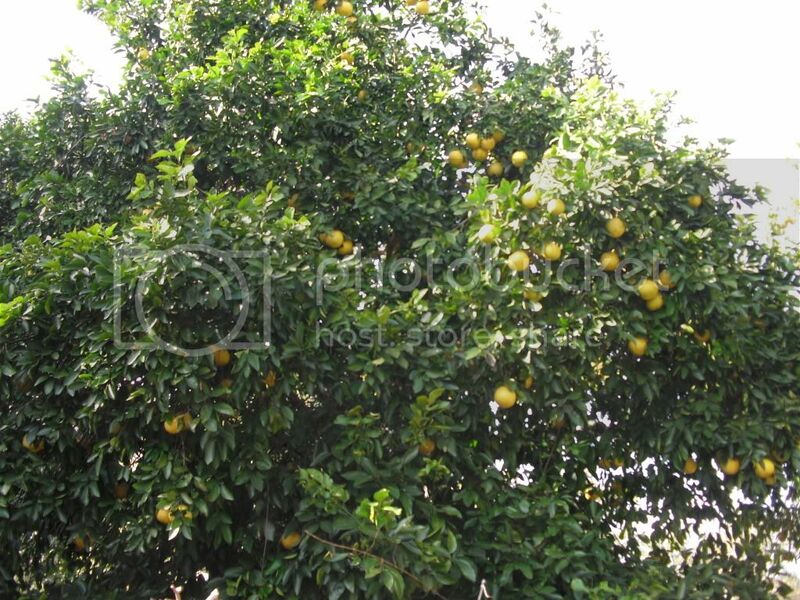 As with most citrus, grapefruit should be harvested during winter and spring. Our tree will hold fruit for 5-6 months. We generally leave a few on the tree as a kind storage for later. 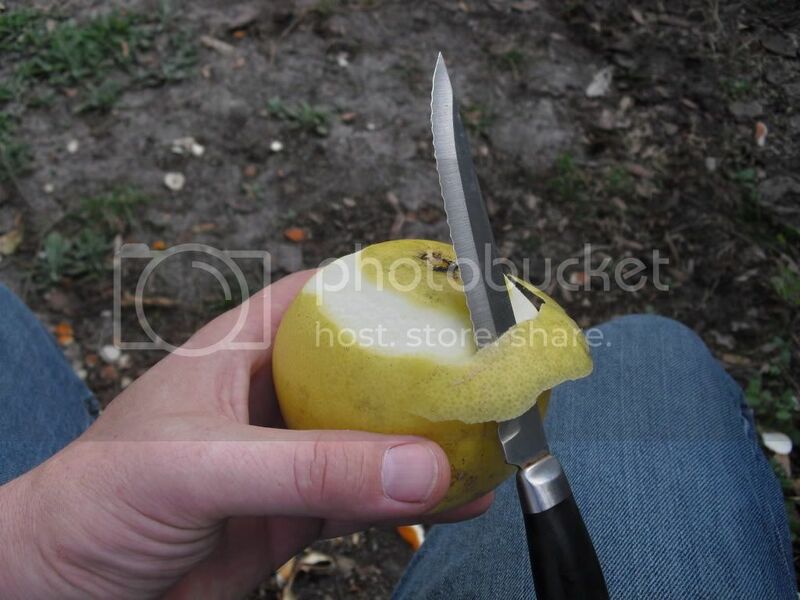 Most the fruit should be picked off to stimulate next years fruit set. So in a nut shell when you see flower buds forming pick the fruit but preferably before. We core the center making them into a cup and drink them right out of the fruit. I have posted diretions below. 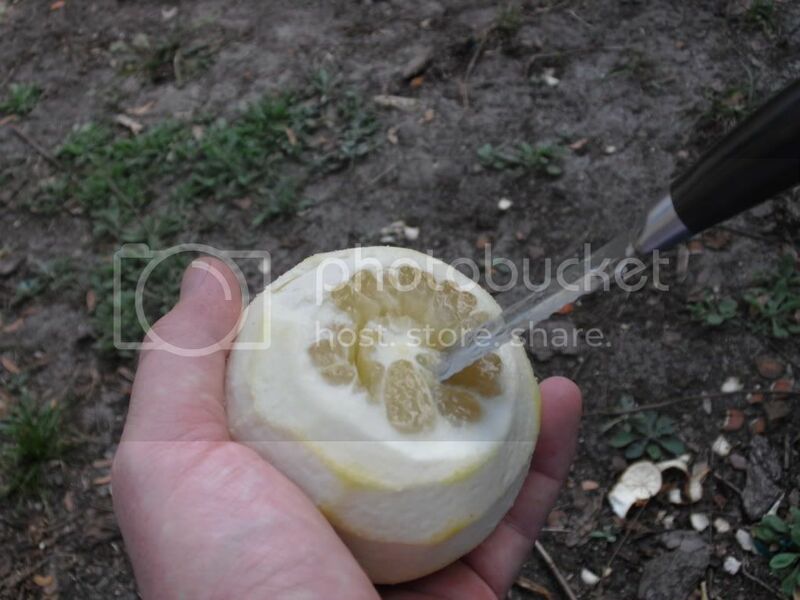 Be careful to leave the white layer this will allow the fruit to be squeezed without spliting. Next core the center out without poking the knife through the outer skin. 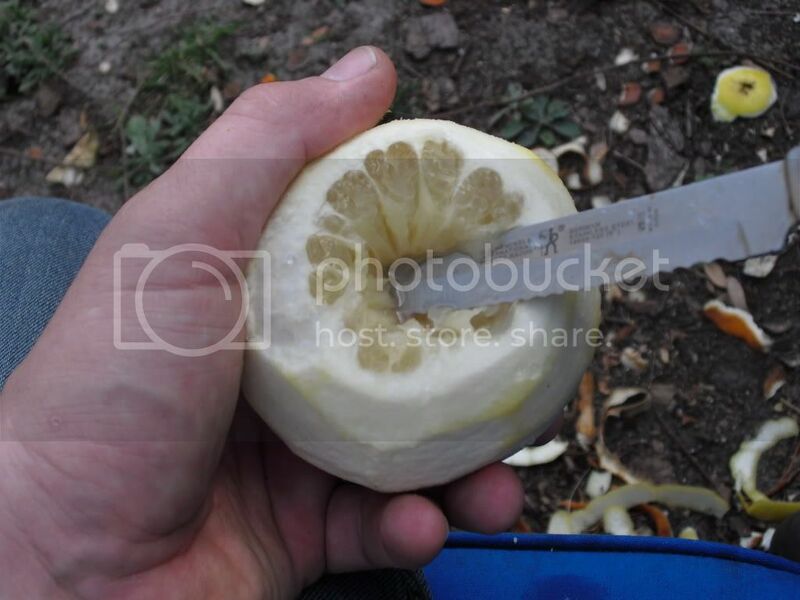 Once the center is cored angle you knife to cut through the membrane of the fruit segmants. As you can see by all the peelings on the ground Angela and I set here peeling lots of oranges and grapefruit and let me tell you these Duncan grapefruit are sweet.